Holiday season is upon us and most of us are busy visiting friends/relatives, shopping and preparing for the new start of 2015 while there are a bunch of people who are, as we speak, trying to exploit us in disguise of this happy season. These are the people who want to take advantage of your laid back approach because they know you’re gullible. You’re in a festive mood and you might overlook that tiny bit of detail that can land you in a big trouble. The good news is that you can avoid being a victim if you know how to identify these problems and how to protect yourself from it. Knowledge is power so let’s equip you with it. Most of the time scammers send you an email with a very catchy subject line which will almost make you open the email. Realize what it is about, if it looks suspicious and you don’t recognize the sender, don’t open it. If you do open it, make sure you don’t download any attachments or click on any links in the email. These emails are designed and written in a way to trick you into taking an action and even though it might seem harmless, they can be devastating. Sometimes you get emails that seems to be coming from a credible source like from a company you’ve subscribed to, your bank or maybe a friend but they are actually malicious. 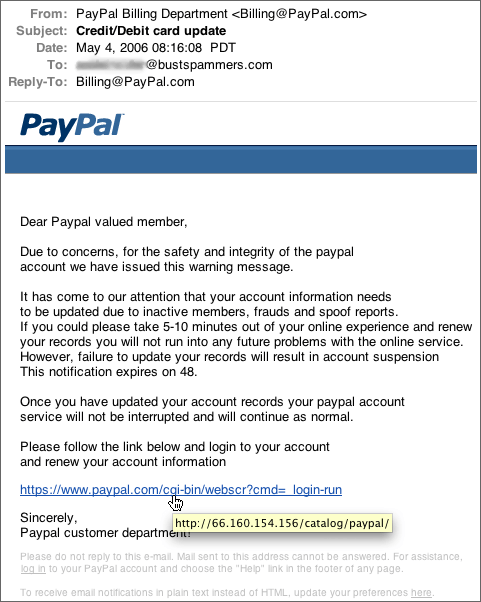 That link will take you to a page which would look similar to Paypal’s site but is actually operated by scammers. You have to be mindful of the tiny details like www.apple.com is not similar to www.apple.xyz.com. This is one of the classic ways how you might overlook the tiny detail. The problem with email is that once you send it out and the receiver receives it, you can’t be sure where else it can be exposed. Moreover, if in any unfortunate situation the receiver’s email account is compromised, your data is exposed too. Instead of sending your sensitive information via email consider using an encryption software that enhances the security and privacy of your data. Here is a list of top tools you can use for data encryption. Similarly, don’t store your other accounts’ passwords in your email. It’s a good way to always have access to them on the go but if your one account is compromised, you risk losing all your other accounts. To be extra safe you can turn on aggressive spam filtering in your email provider. This ensures that spam emails are not delivered in your inbox. This often creates problems as your legit emails are marked as spam too. To avoid this, add the trusted people to your white list so their emails are never sent to spam folder. For example in Google Apps it can be done as defined here. Anti-virus programs not only helps keep your computer safe but also your emails. Sometimes malicious programs which comes in the form of attachment are not detected by the email provider and in that case having an extra layer of security from an anti-virus program can go a long way. Plenty of options are available in the market for anti-virus programs from free to paid and you can check out this list for more. If you’re using a public wifi network in a cafe, airport, mall etc. avoid using any banking or other important websites. Public networks are vulnerable to attacks and a sweet spot for attackers. Data sent over a public networks can easily be intercepted by sniffers and your personal information can be exposed causing your identity a serious threat. We humans are trustworthy creatures which sometimes backfire. Always make sure to log out of your personal accounts when using a computer at work, home and specially at public places like an internet cafe. Even though the next person who takes turn on the computer might not have ill intensions but when people see an open account of someone else they are tempted to check it out. Another important point is to not save the email/password combination in the browser. Almost all browsers have ‘Save Password’ option that conveniently allows you to save passwords in the browser so you don’t have to type it the next time you’re visiting that website. But did you know anyone using your computer can easily see those passwords? 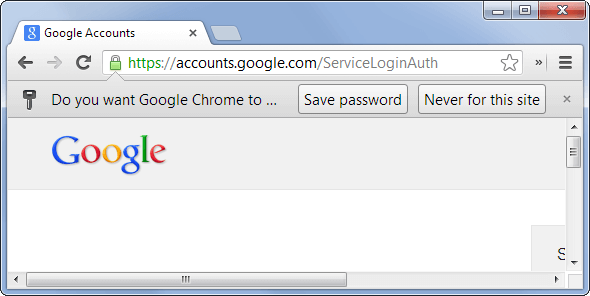 If you want to see all your passwords type chrome://settings/passwords in your chrome browser and press enter. It will display a list of all the passwords stored in your browser. You can click on ‘Show’ button on any password to see the actual password. With the increasing computational power of the computers it is easy to guess passwords of almost any account within a short span of time, sometimes even seconds. If you think your password is strong, think again. During an experiment run by Ars Technica, the hackers were able to guess 90% of 16449 hashed passwords in few hours and even managed to crack 16 character passwords as complicated as ‘qeadzcwrsfxv1331’. Want to check how strong is your password? Do it here and here. This is an easy way for scammers to trick you into entering you information. 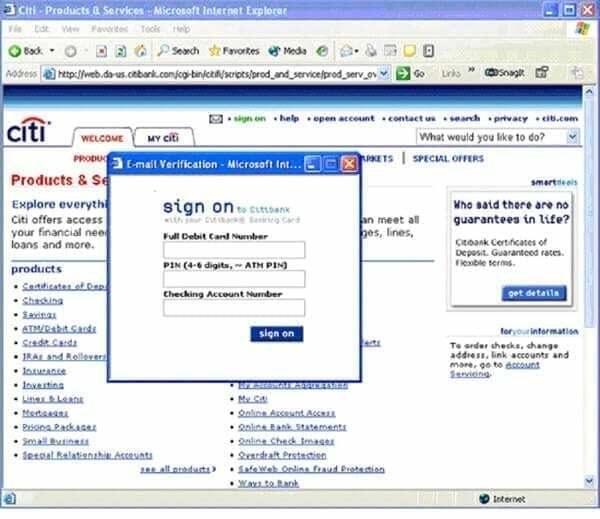 There are now technologies available using which you can display your own form on other credible websites making them look like a part of those websites. None of the banks or any other website asks for your debit card number, pin and account number like this, however it looks legitimate and many among us would enter all the information without thinking twice. Whenever in doubt, don’t go ahead and close the website. It is required under laws that all the financial transactions are bound to happen over secure channels. The simplest way to confirm this is to look at the URL of the page in the browser. It will most certainly look something like https://xyz.com. If secure transaction is happening over non ‘https’ URL it’s a sure sign of problem and you should immediately close it and contact your bank/financial institution to make sure you were not harmed in any way. Email is the primary way how scammers trick you so it’s super important that you’re cautious while operating online. Do you have any other tips that we missed? Share with us in the comments below and have a safe holiday season. One thought on "10 Quick Tips To Ensure Inbox Safety This Holiday Season"
Great reminders guys. Happy Christmas.